Hi! My name is Tyson, but you might as well call me Tigger because I am “bouncy,bouncy,bouncy,fun,fun,fun,fun”! 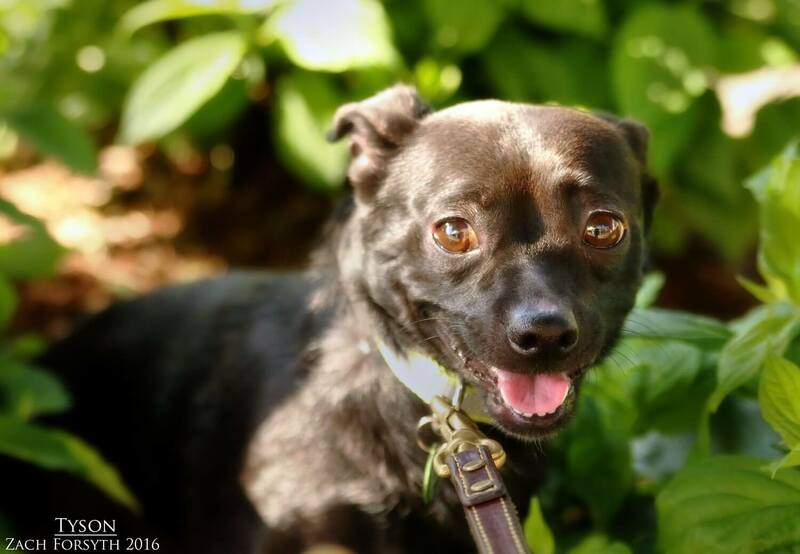 I am an energetic and cute 3 year old 12lb terrier mix who loves to go go go! I am a sensitive guy, but with some patience-and a few treats, I will warm right up to you! I am very active and love to walk in the great outdoors. I always have my nose to ground, sniffing out the next adventure! Since I am a bit of a shy guy, I need to be with a confident adopter in low-key home without kids or cats. But I enjoy having other dogs in my company! In fact, I love seeing my pals so much that I have to bark and say hello! I am a very quick learner when it comes to my training too! I’m just an unique, quirky and spirited guy with a fun loving personality! You know what they say: “the most wonderful, lovable thing about tiggers is I am the only one!” So fill out an application today and we cant meet! I come to neutered, vaccinated, and micro-chipped for an adoption fee of $250.